so cute, love the colors and that ribbon! Oh how pretty! Love the upbeat colors and design......fabulous! 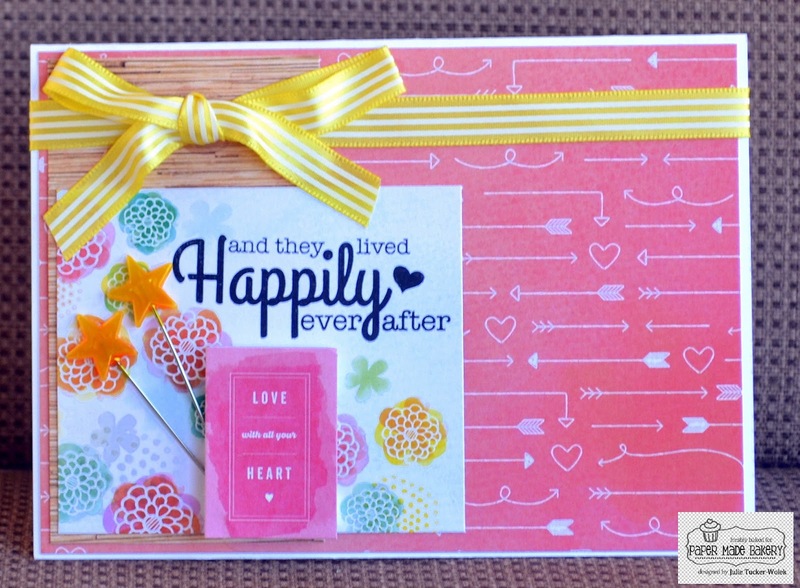 What a delightful card creation! Awesome card! So pretty! Well done! Beautiful cards. I love how you added the stick pins. This card is SO adorable Julie! I just know they're going to love it. 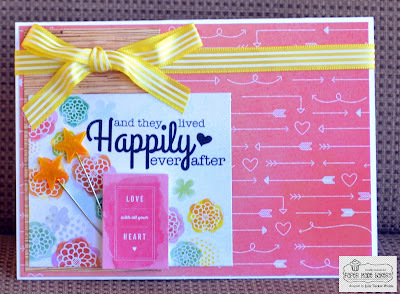 What an eye catching card design! 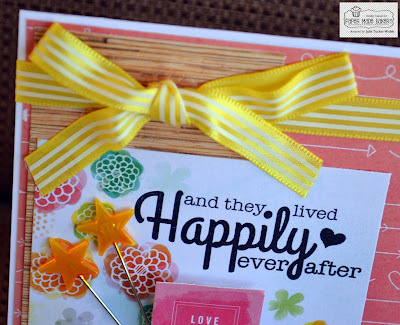 Such cute papers and embellies, and I love how all the elements are skewed off to the left! Nice! What a lovely card Julie - great job!